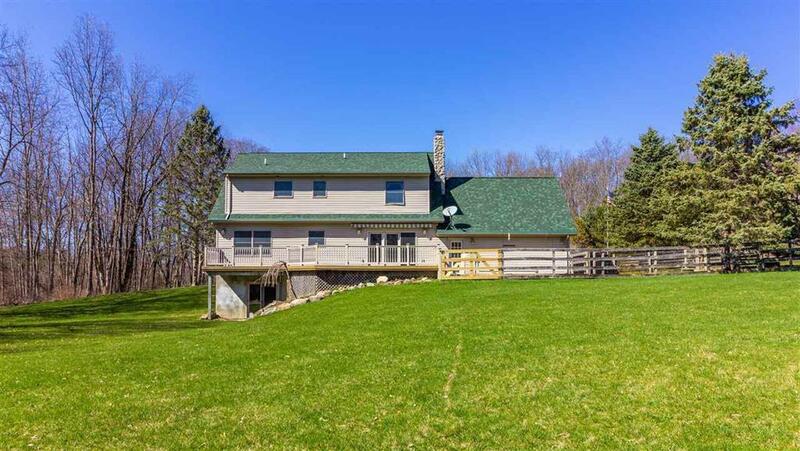 Wonderful 3 bedroom w/Xlarge bonus room, 2.5 bath home on private 5+ acres w/wildlife galore & a peaceful setting! Over 3000+ finished sq. 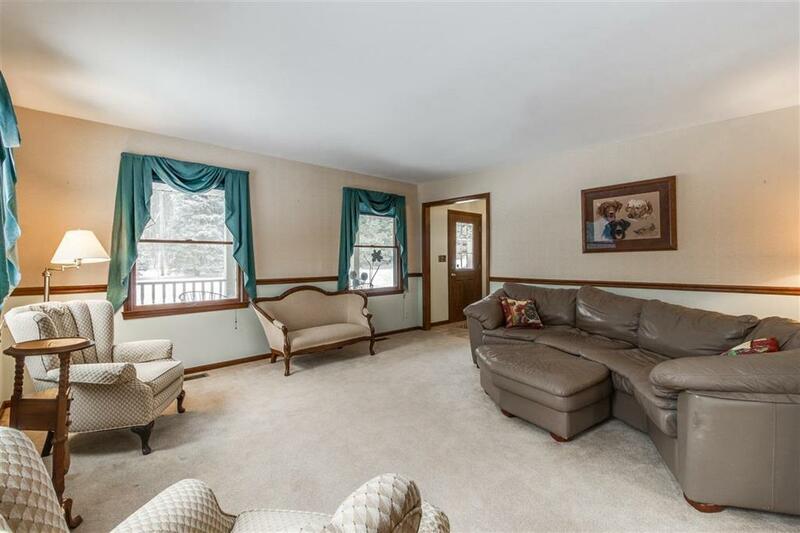 ft. w/partially finished walkout, open floor plan, large living room & firelit family room that opens to the deck, fully applianced, granite transition kitchen w/tons of cupboard space, dining room, 1/2 bath & 1st floor laundry. 2nd floor spacious master suite w/walk-in closet & full bath with jacuzzi tub. 2 additional bed's with Xlarge bonus room and another full bath. 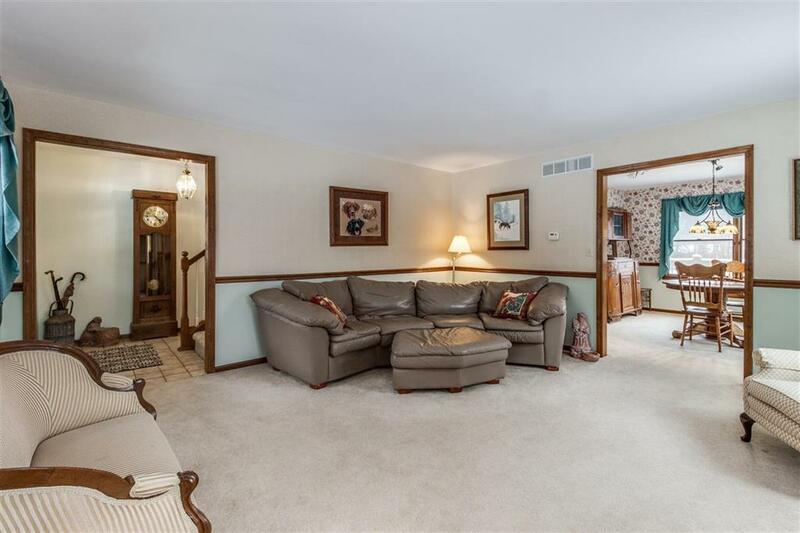 Partially finished basement is great for anyone who loves to entertain... 2nd kitchen w/granite counters and bar, w/wine refrigerator, pool table, 55~ wall mounted TV & sound system with walk out for BBQ'ing w/friends & family. 30'x40' Pole Barn w/ 2 10'x10' stalls/2 5'x10' stalls & 1 10'x10' screened averairy, plus 220 electric, fenced paddock & small animal pasture. Chicken coop w/power & fenced pen. 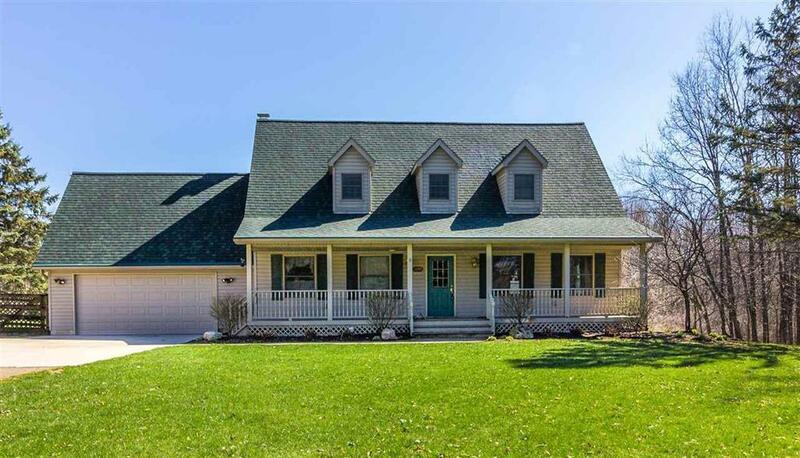 So much to LOVE about the country living this home has to offer! Must see!